Eley: Three Duetts for Violin and Cello Op. 1, No. 1 in E-flat Major, No. 2 in G Major and No. 3 in A Major. 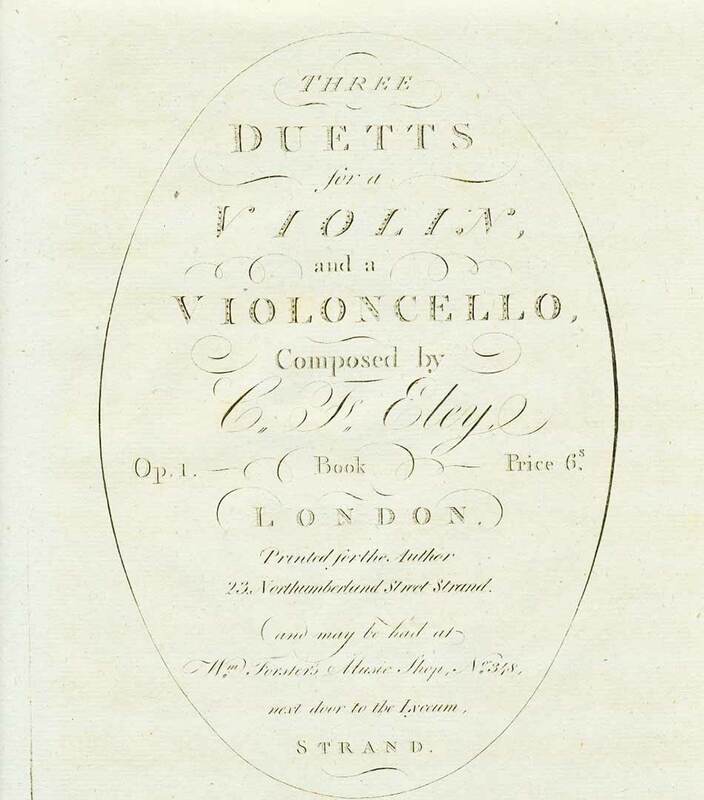 C. F. Eley (1756-1832) was born in Hanover and in London was principal cellist for the Academy of Ancient Music, Covent Garden, etc. He also commanded the Band of the Coldstream Guards. The 3 Duetts for Violin and Cello Op. 1 were published in 1790. The first movement of each duet is a sonata form and each slow movement is an Adagio. The finales of No. 1 and No. 3 are Rondos, while No. 2 is a sonata form finale.